The Cure for All Diseases is now available to order from our website. A 10,000 year lineage’s 1,981 year long vow of silence has now ended. Therefore, the cure for all diseases is being properly released with both wisdom and techniques, so people have True Knowledge to use in the self-healing of any form of disease. 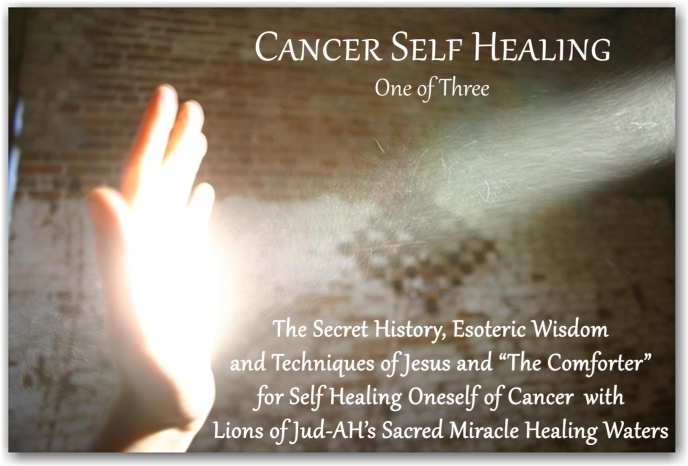 The same ancient alchemical method that was used long ago to transform atoms of tin into atoms of gold, is now being used to transform the subnormal deformed atoms in diseased cells, like cancer, into super normal atoms of healthy cells. The 3+ hour long set of 3 CDs contain all of the ancient wisdom and spiritual techniques for the self healing of any disease. Like our ancestor, Jesus, we do not seek earthly rewards or recognition. We give $5 from each CD to feed AIDS orphans in Africa, where at 15 tin shack day care centers, we now feed 900 AIDS orphans, (modern day lepers) 3 meals a day.